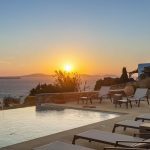 This magnificent propertyis located in one of the utmostdesirables, exclusive, and top-end sites of the island, the Agios Ioannis (St. John). 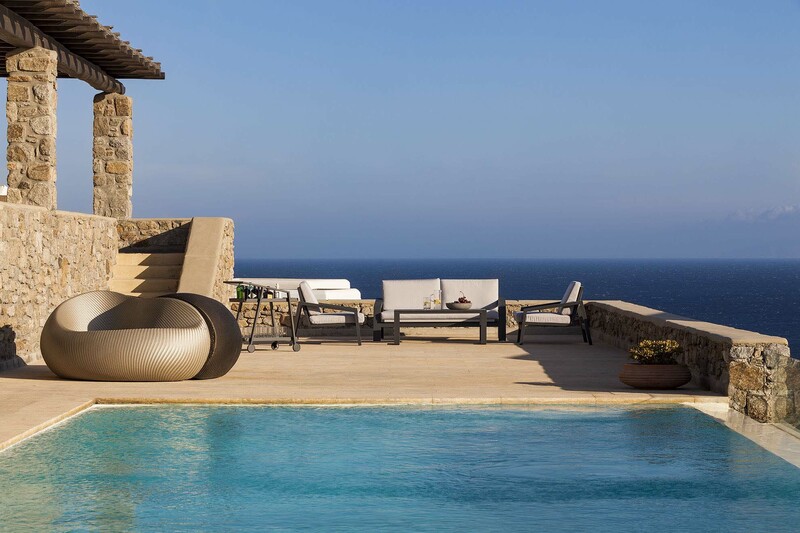 The recently built villa faces south and is in a wind-protectedposition. 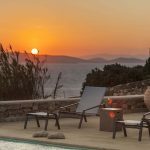 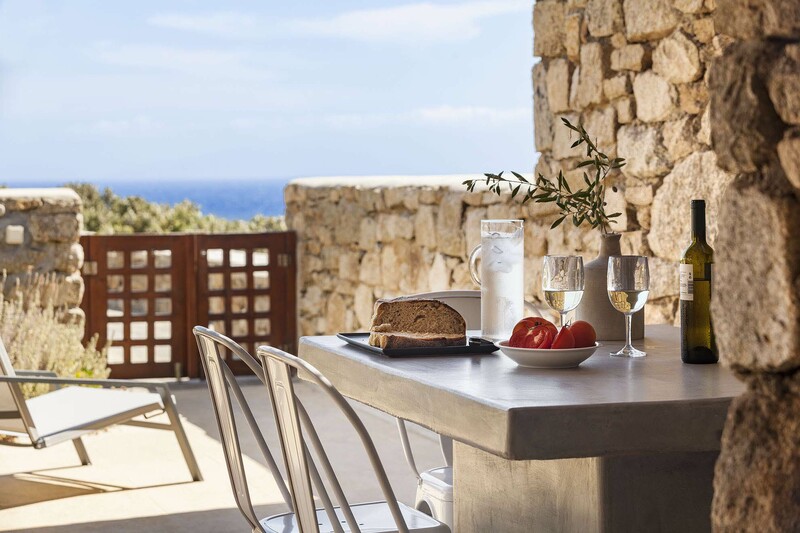 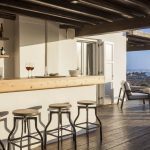 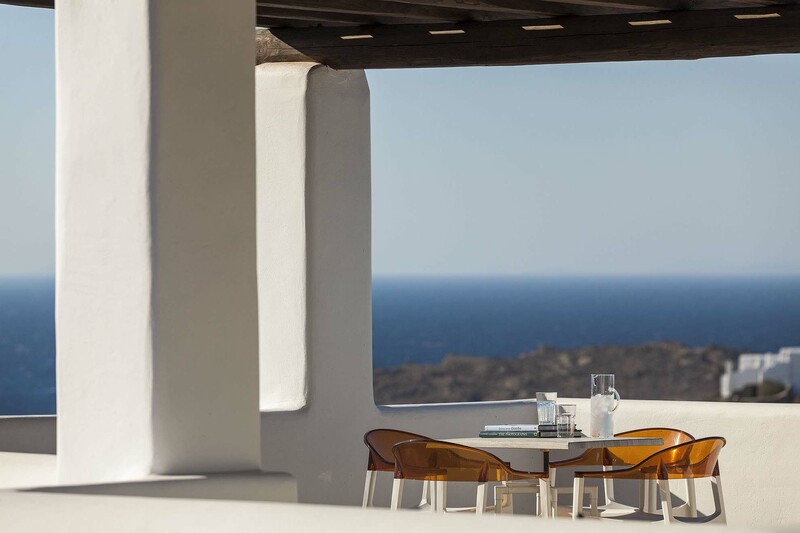 Villa Angela invites you to dwell in the awe-inspiringsightsof sunsets over the Delos island and the infinite blue Aegean Sea. 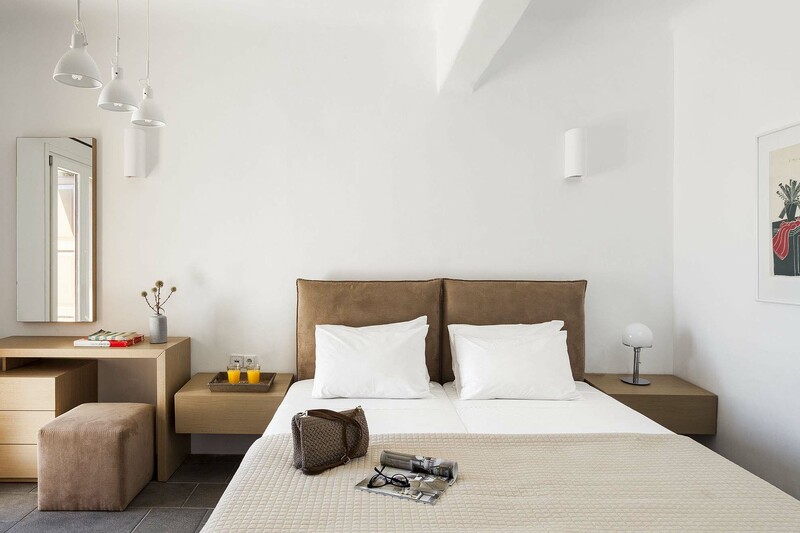 The spacious villa is situated in a gated community with two othersconventionallyconstructed, flat-roofed, cube-shaped villas. 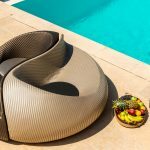 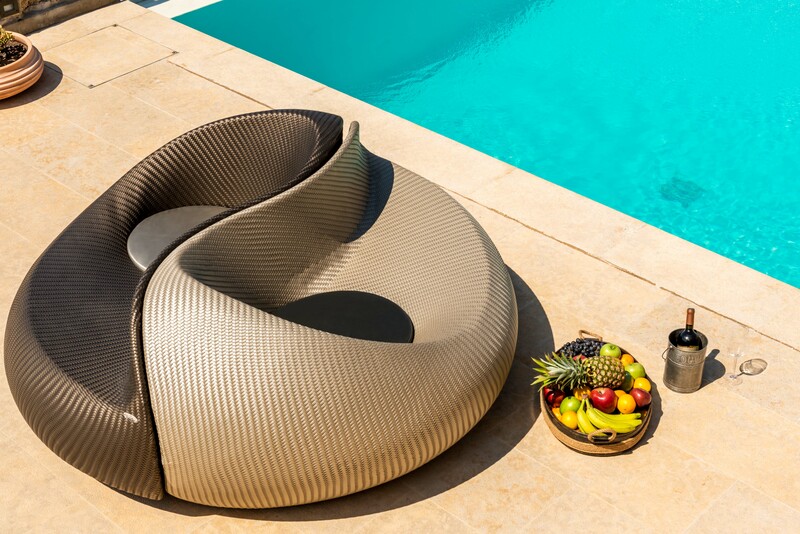 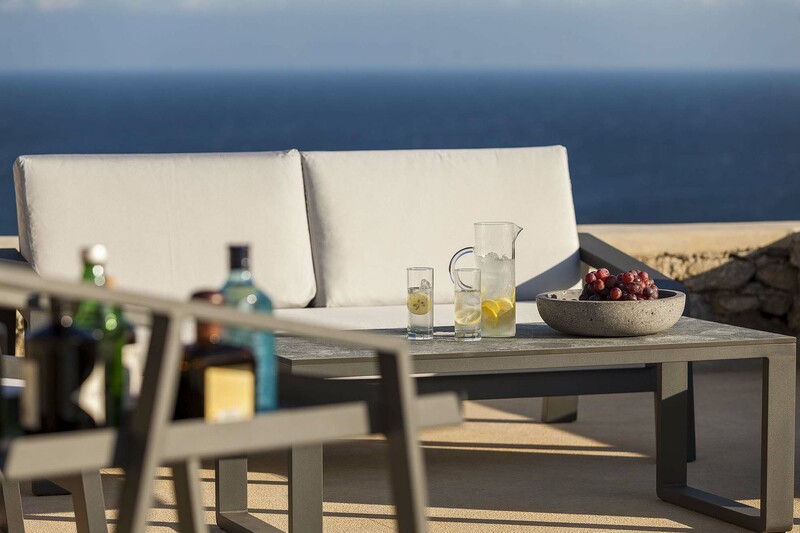 The renowned Spanish architect, Javier Barba designed its outdoor area. 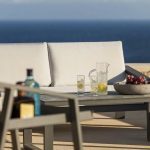 Gear up to relishin the excitement of enjoying champagne toasts on the pools of the luxury villas, cocktails on the verandas of the dreamy villas and partyingtill the sunrise. 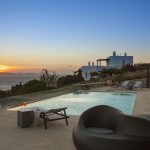 The Luxurious villa boasts numerous five- star facilities including mesmerizing sea and sunsets views, large infinity edge swimming pool, a pool bar, a sun deck, large and deluxe sitting areas and dining areas opening out onto the terraces, the verandas, and the garden. 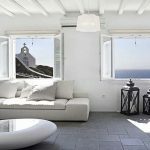 The villa alsohas a pergola-covered parking area so that you can enjoy calm evenings with your loved ones.Villa Angela is set on three different levels and its interior reflect the inspiration of the Cycladic minimalism and it is an epitome of traditional local design combined with state-of-the-art technology. 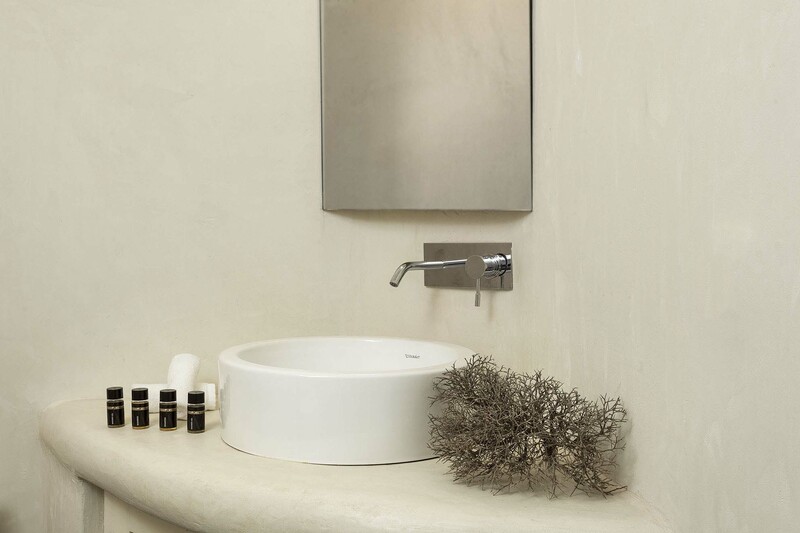 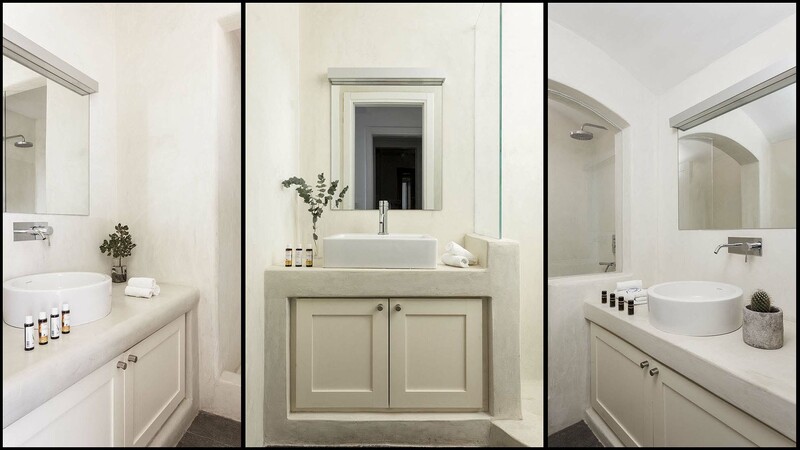 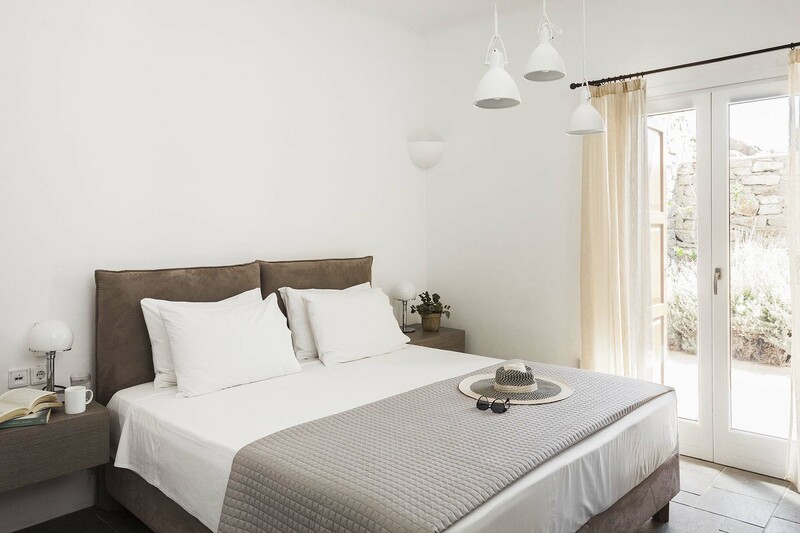 The decor of the luxurious villa is classy, chic with a blissful and airy feel. 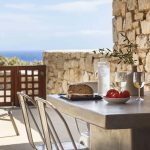 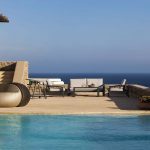 The fully serviced villa has deluxe ensuite bedrooms, private terraces, outer space, fully equipped kitchenettealong with other facilities which offer complete privacy and awe-inspiring sea sights. 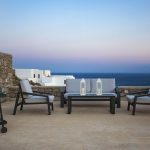 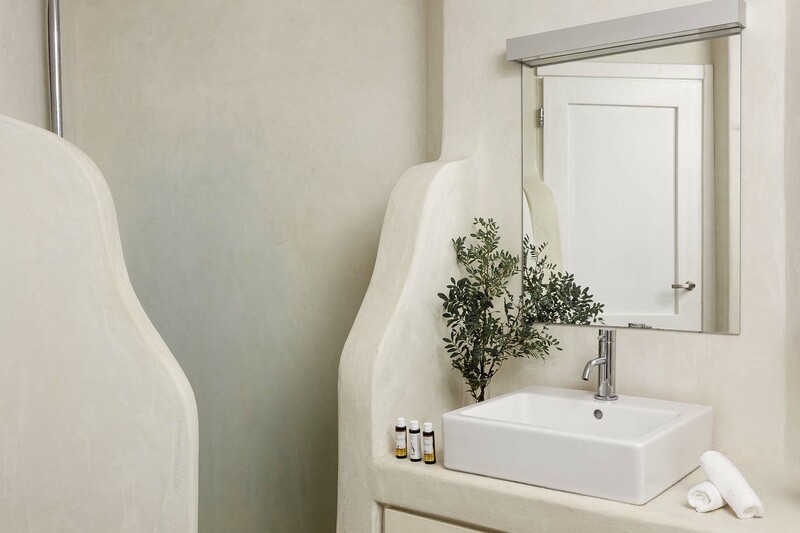 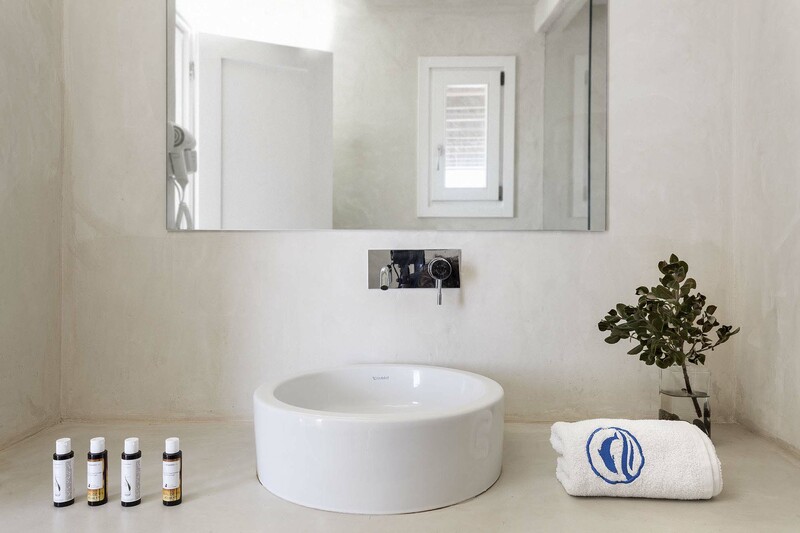 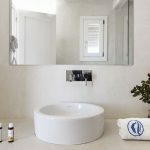 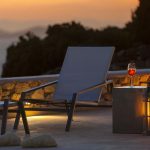 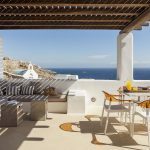 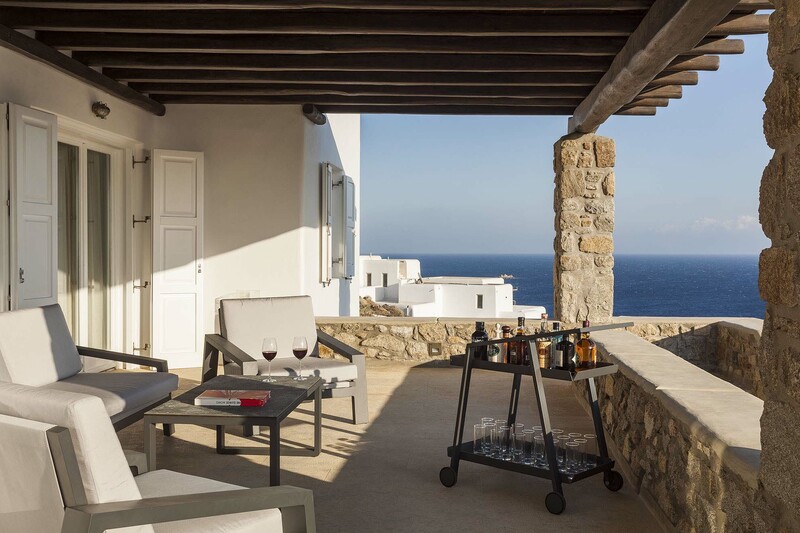 This deluxe villa is amongst the finest accommodations on the island of Mykonos. 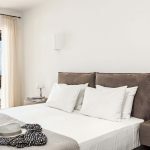 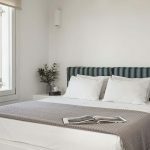 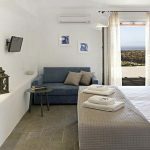 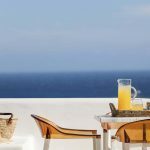 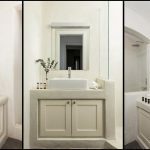 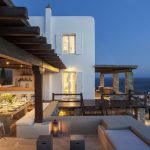 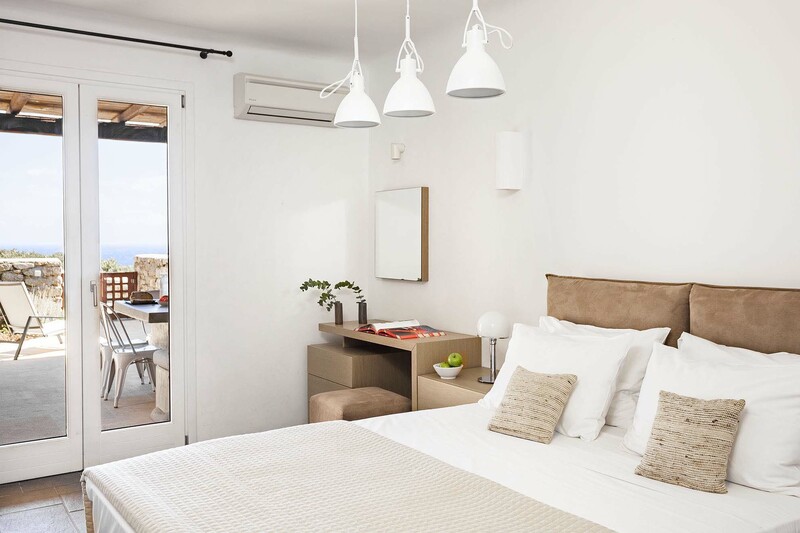 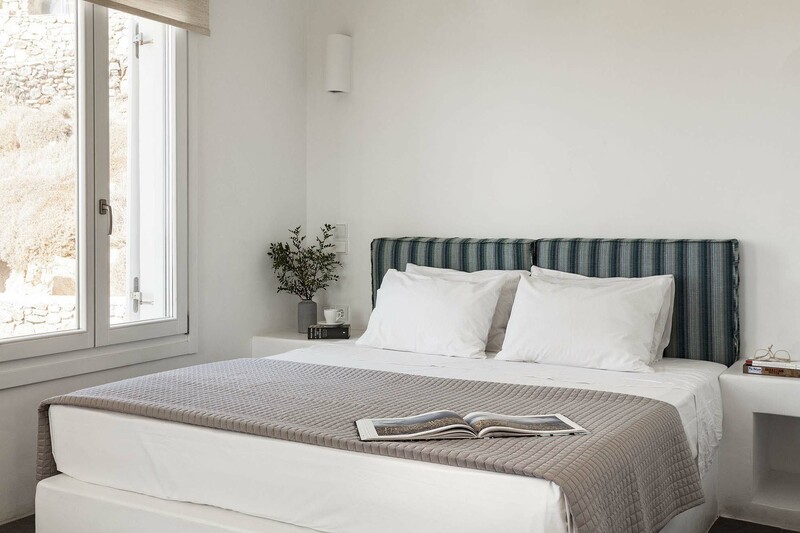 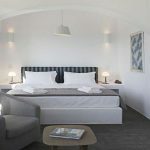 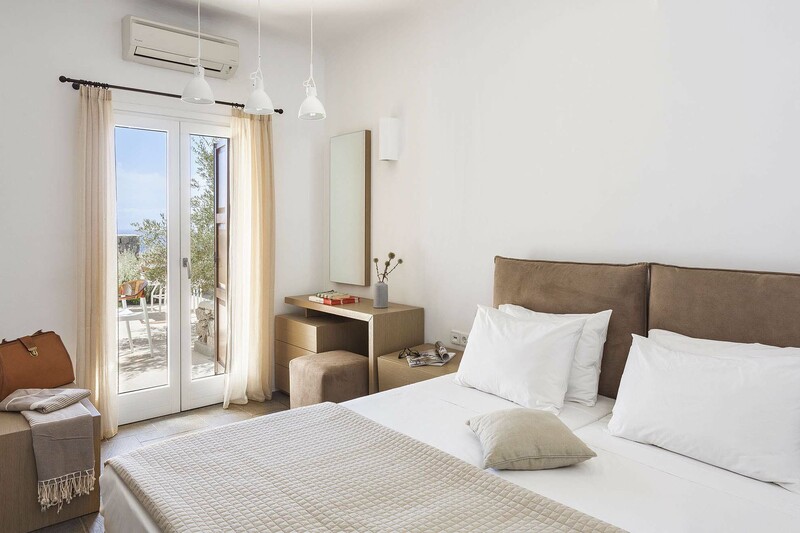 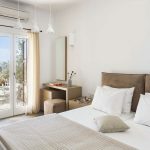 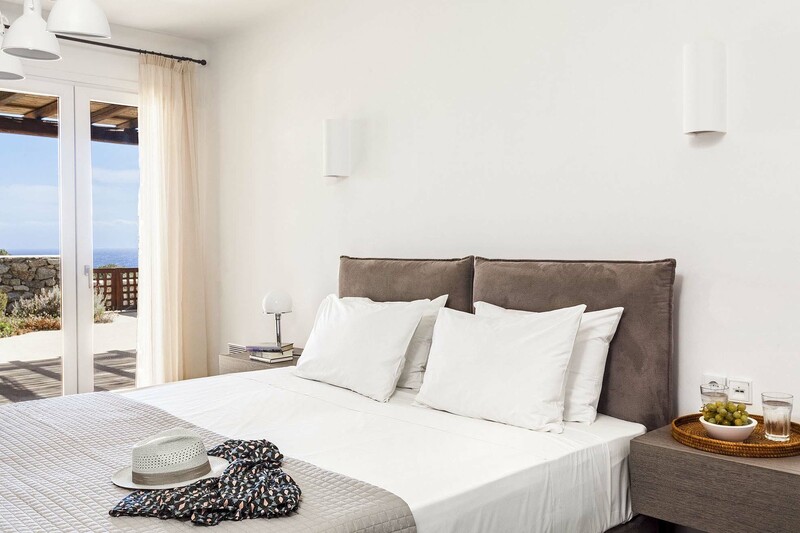 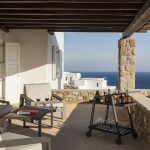 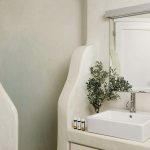 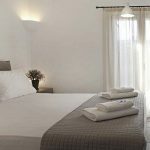 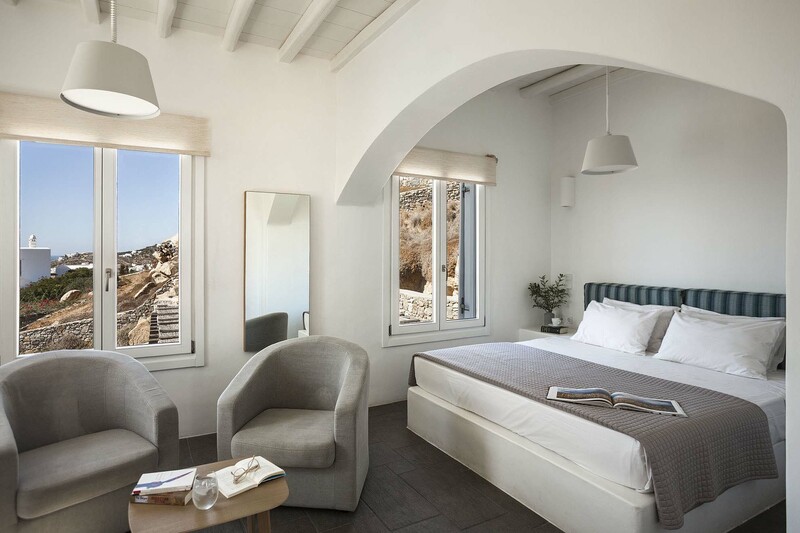 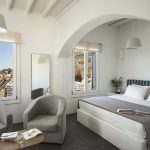 The intelligently designed and fully serviced villa offers wonderfully airy and spacious accommodation featuring maximum possible comfort, five-starservices and facilities, luxurious environs, quick access and proximity to different beaches and vibrant taverns of the Mykonos town. 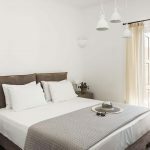 The residence is only walking distance away from the sheltered, sandy St. John, famous Ornos and Psarou beach. 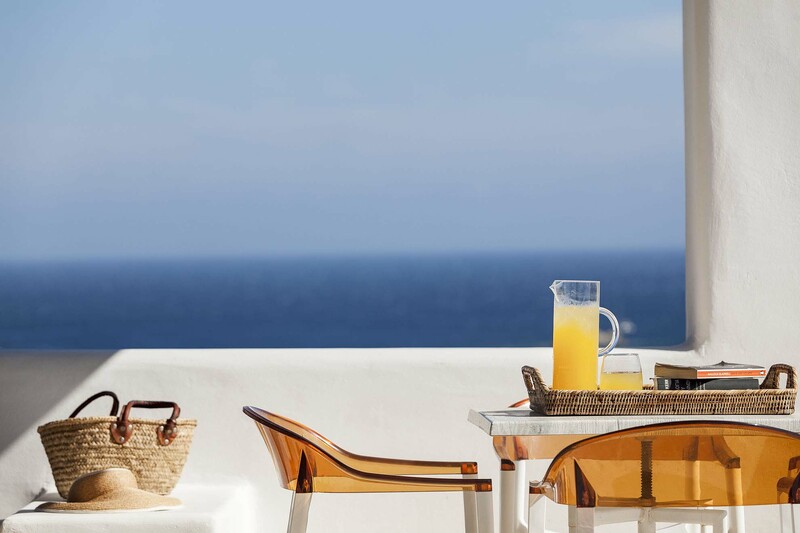 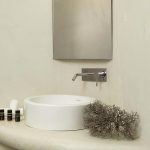 It is the perfect place to invest in crafting anunforgettable holiday that you would be certainly cherishing for long.